Ep. 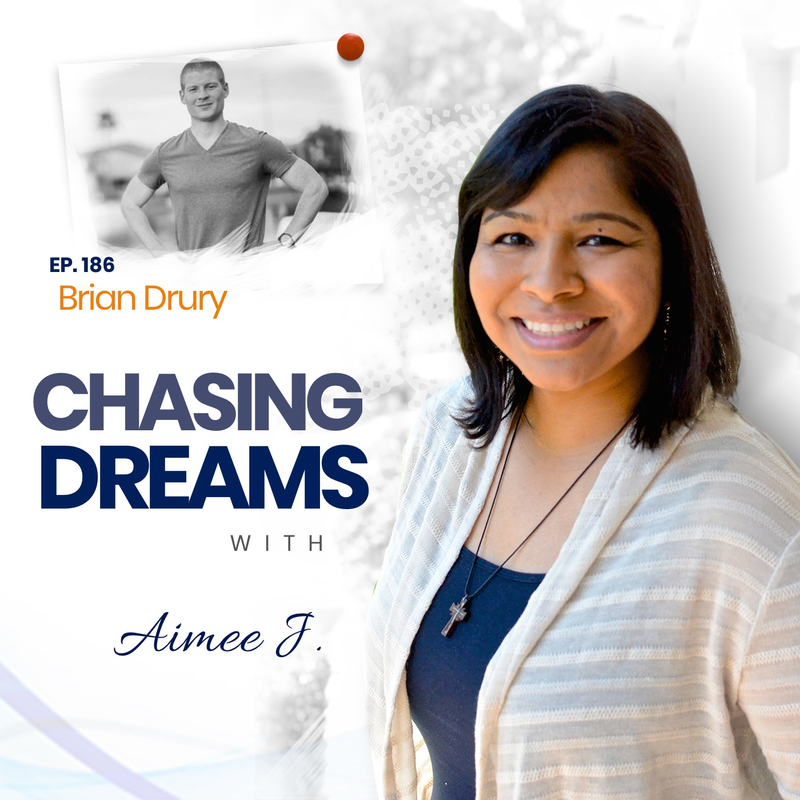 186: Brian Drury – How to Change What Can’t Be Changed | Aimee J. Can you still chase your dreams if you aren’t sure about how to move forward? Yes! Today’s guest shares his personal experience with learning to be still and focus on the next step. Brian Drury is a return guest from Episode 44. We’re checking in with Brian to see what’s new in his life and his dream chase. 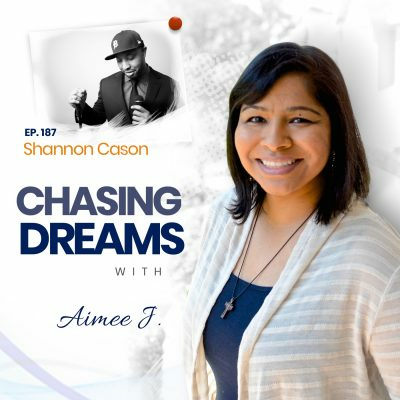 He’s the founder of Overcoming Graduation, the creator and host of the Overcoming Graduation podcast, a professional speaker, coach, and author of the #1 Amazon bestseller, The First Step. 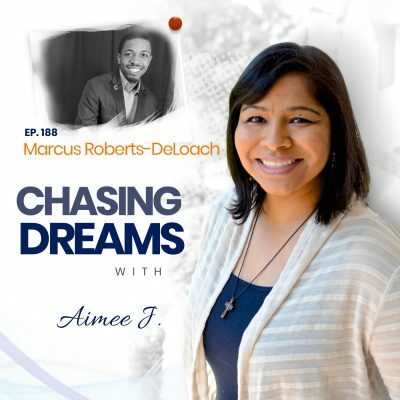 Through his work, he helps teach young adults everything he wished he had known about habits and mindset to help them create their dream lives, starting today. One of Brian’s recent speeches went viral and has reached over 14.7 million people around the world, and is now featured as one of Goalcast’s Top Inspiring Videos. Brian also has a passion for travel; he speaks three languages, taught himself to speak Portuguese in just seven months, and has traveled to 17 different countries around the world. Brian wants everyone, young and old, to realize that their dream life is within their reach if they are willing to think differently and take action. Do you live in extremes? Brian admits that living in extremes has been his norm, but he is learning to stay in a healthier, happier “medium.” Even though he teaches self-care, he has had to discipline himself to keep up with that care every day, especially when the stress and busy-ness of life get in the way. Living in “the medium” has helped him take full responsibility in his identity and prompted an honest conversation with his father, which was a big emotional release. Is your inner child still there? Brian says we need to be playful and embrace our inner child, but we need moderation in healthy areas and honesty in communication and relationships. We need to cut out bad habits and embrace healthy ones so that we can enjoy the next day in the same way as today. Brian lives by a quote from author Aubrey Marcus: “Don’t enjoy today at the expense of tomorrow.” Brian says we need to make time to play, have fun, and live in the moment.